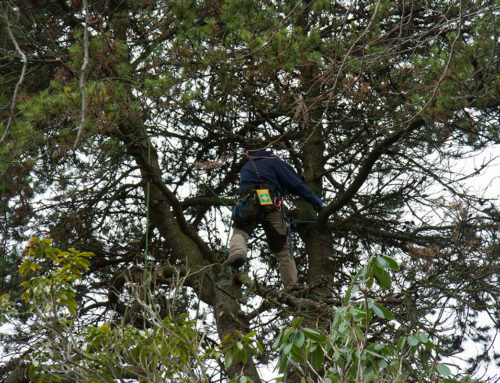 Topping trees used to be common practice throughout North America. In fact, it still is in many places. 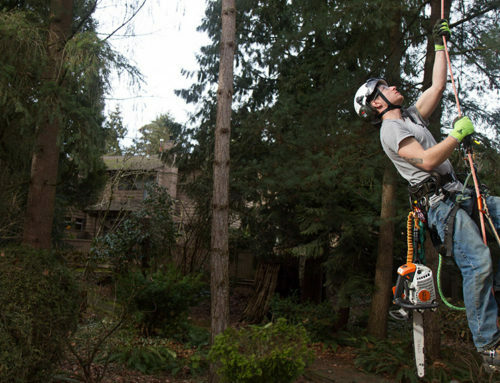 We still see companies throughout Vancouver advertising tree topping, even going as far as calling themselves and their employees “Tree toppers”. For 25 years, literature has been published explaining why topping is harmful, yet it is continually ignored. 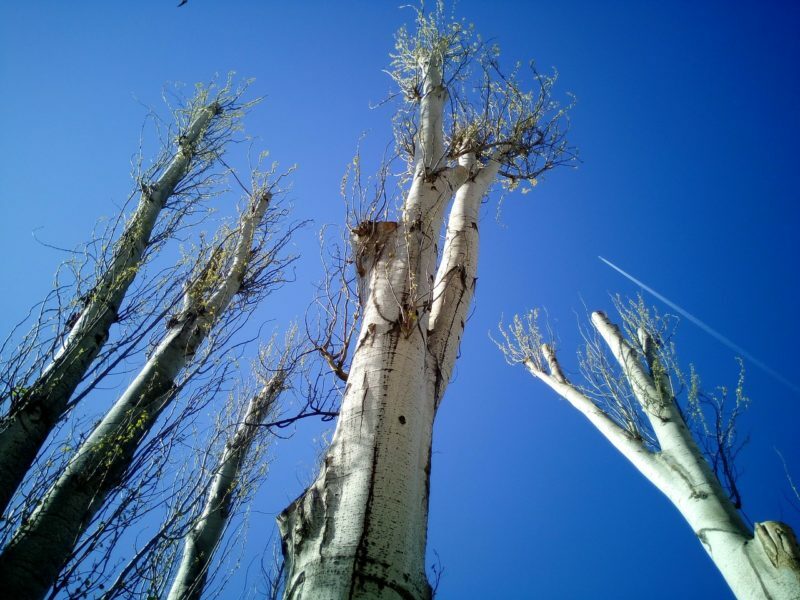 According to the International Society of Arboriculture, topping is “the indiscriminate cutting of tree branches to stubs or to lateral branches that are not large enough to assume the terminal role”. 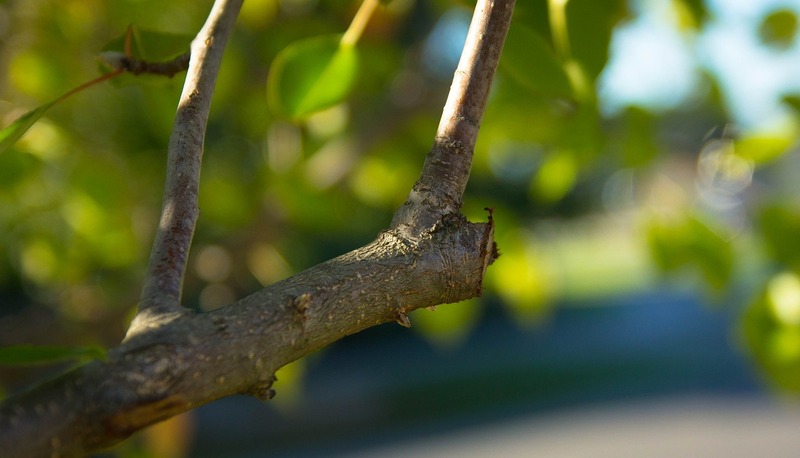 In other words, topping is the removal of the top of a tree without thought of pruning back to another branch, leaving a stub. 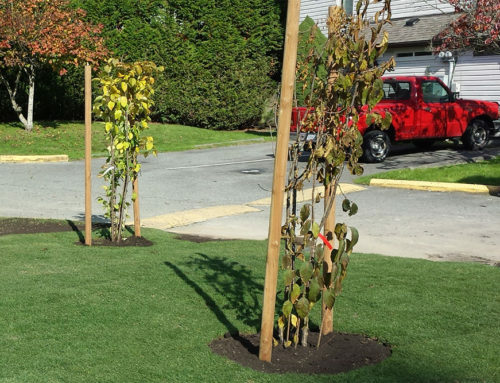 Topping is often utilized to reduce the overall size of a tree. There are a multitude of reasons as to why topping should not be performed. Topping creates weak limbs. New shoots (often called watersprouts) develop from buds on the outer rings of a branch. These shoots do not develop inside the branch, which creates layers of overlapping wood tissue, holding the limb in place. The new shoots are only attached by the outer layers of the branch, making it significantly weaker and more prone to failure. 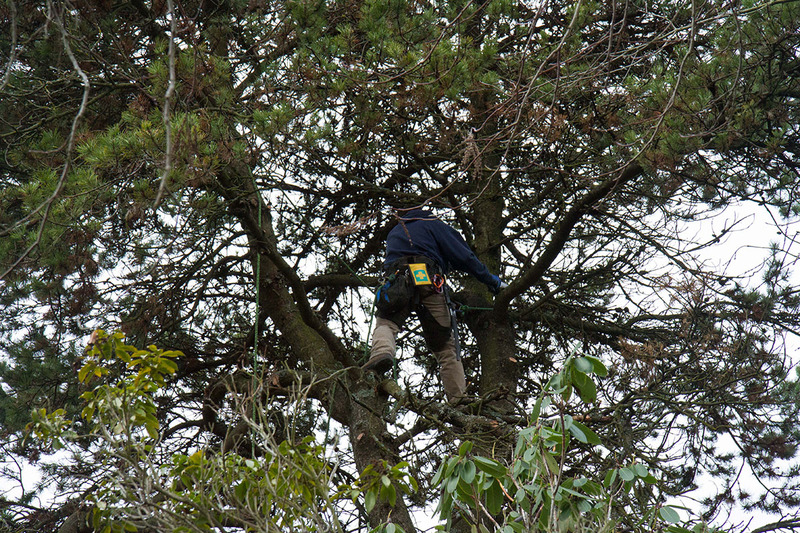 Topping stresses trees. Proper pruning practices rarely remove more than 25 percent of a crown at a time. Any more foliage removed beings to starve the tree. Leaves take the suns energy and produces carbohydrates (food) through a process called photosynthesis. When a large amount of leaves are removed, the tree is no longer able to produce food. Callus wood has formed over an old pruning wound, sealing it off. Topping opens wounds for insects and disease to enter. The topped limbs have a hard time forming calluses over the wounds. The natural defense system is unable to chemically seal the wound, allowing insects and fungi spores to enter. Trees are normally able to compartmentalize the decay in a wound; however, topping creates a multitude of wounds, which often requires more energy to seal than the tree has stored. Topping leads to rapid new growth. 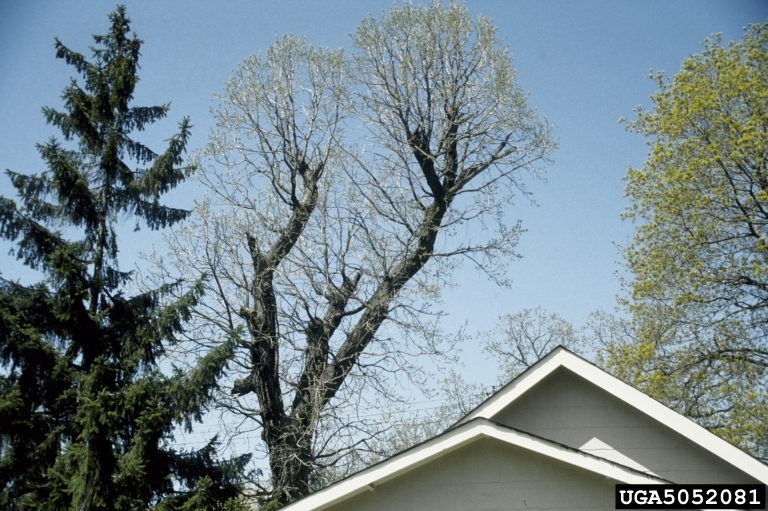 Trees are typically topped to control the height and width of a tree. However, after topping the tree produces many new shoots per branch to regain its crown, and food making capabilities. These new shoots are far more numerous and vigorous than the old branches, elongating very rapidly and densely. The tree will return to its original height very quickly. Topping may kill the tree. Older trees with a small reserve of carbohydrates, or those which do not produce sprouts after topping will most likely not survive. Topping is unsightly. 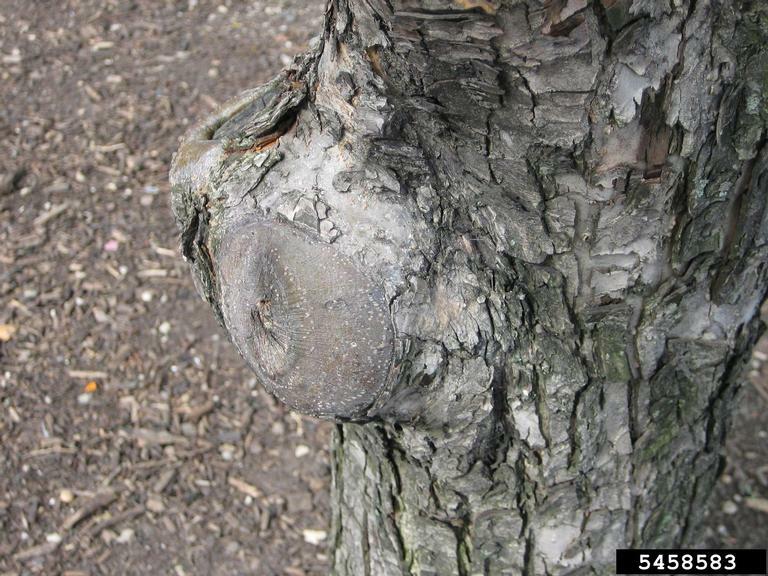 Natural looking trees have many different shapes and growth habits. Topping removes the character and leaves ugly stubs. Even with the new growth, a topped tree never regains its beautiful, natural form. 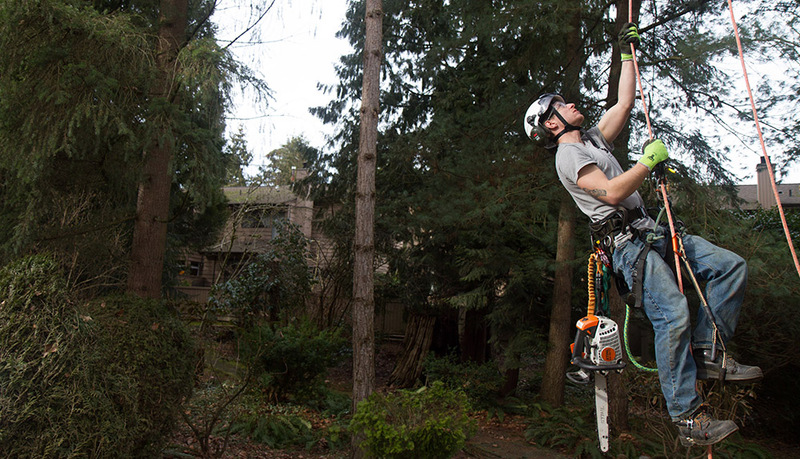 There are times when a tree needs to be reduced, such as providing clearance for utilities. Reduction cuts may be utilized to reduce the length of the branches. This is done by pruning the branch back to a lateral branch that is large enough to assume the terminal role. The lateral branch must be at least one third the diameter of the limb being reduced. Reduction cuts must be made sparingly, as trees do not respond as well to this type of pruning. The tree cannot compartmentalize the wound as well as a branch removed at the branch collar. 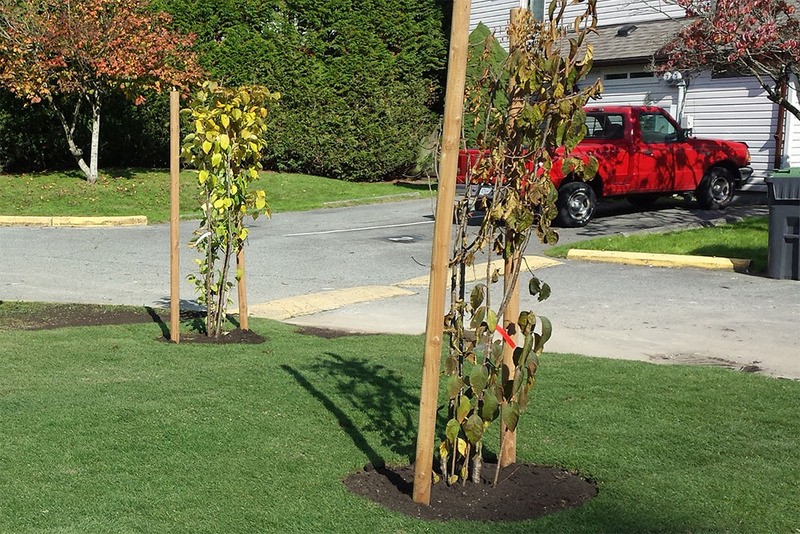 © Coastal Pacific Tree Service Ltd. 2017. All rights reserved.